It’s been warm this week at Alta and Little Cottonwood Creek is high and running fast. With temperatures in Salt Lake City hitting the upper 90s, the snow is melting very quickly now. Earlier this week we hosted a retreat for Waterford School. The 33rd Annual Writers@Work Conference is going on now and commences on Sunday. Both of these were exclusive events, that is, there are no other events occurring at the same time which meeting and retreat participants really appreciate. Weddings start soon and this summer will be a busy wedding season! Wedding couples enjoy the option the have an exclusive event at the Lodge. We make it easy with the wedding, reception, dancing and overnight accommodations all at the Lodge. Wedding guests frequently make a weekend stay and enjoy the surrounding mountains and what they have to offer. 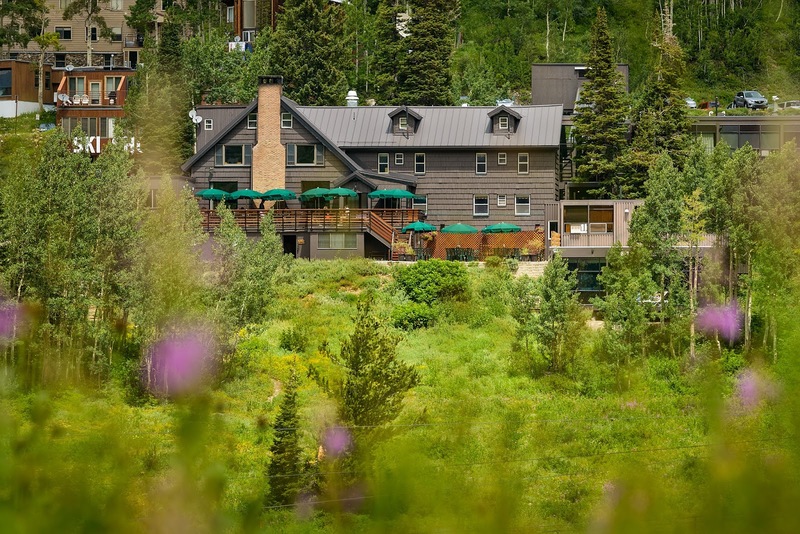 Walking, hiking and mountain biking are all options at Alta. 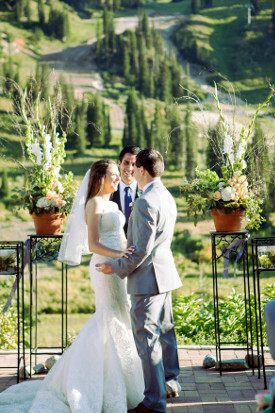 A romantic mountain wedding on the patio.